As the weather gets warmer, local farmers markets are opening for the season, making shopping for produce a whole lot of fun. We’ve got a great weekly market close to the Inn in Danville, but there are others in surrounding towns worth a visit too. We’ve listed them all below, so grab your grocery bags and go shopping! Danville Farmers Market. This open-air market takes place on Tuesdays from June to September. In addition to farm fresh fruits and vegetables, look for homemade jams, jellies, and baked goods. Tuesdays, 3:30 p.m. – 6:00 p.m.
Mount Vernon Farmers Market. This is the place to be on Saturday mornings, now through October. 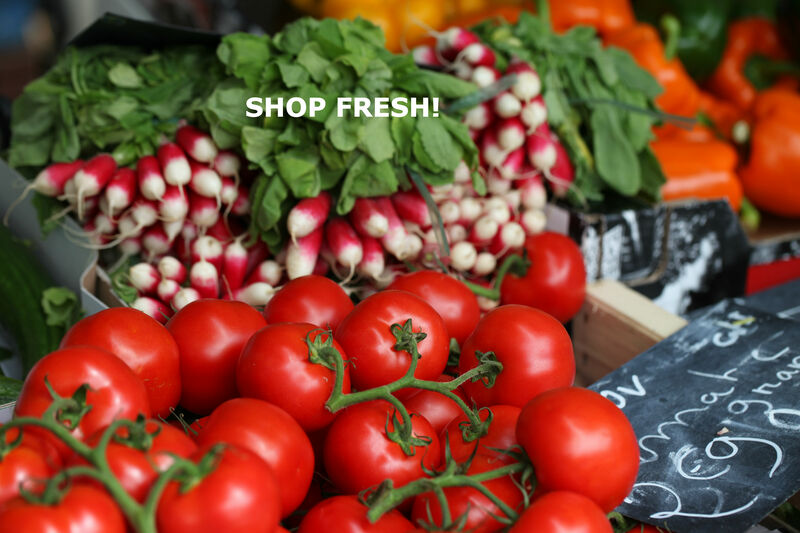 Stop by for fresh flowers and plants, vegetables and fruits, natural meats and cheeses, locally-made honeys and syrups, and more. Bellville Farmers Market. Shop early to get first dibs on favorite items like fresh strawberries and tender parsnips. Be sure to check out the market’s Facebook page for vendor interviews, and up-to-date news. If you’d like to go to the source for your food, head out to Miller’s Farm Market in Mount Vernon. The family-run farm grows a range of vegetables, including many heirloom varieties. They sell fresh homemade bread and cookies, and on weekends make fresh rolls and seasonal pies too. There’s also a deli that carries Amish Country meats, cheeses, salads, and other food items. Spring hours: Monday – Friday, 9:30 a.m. – 5:30 p.m.; Saturday, 9:00 a.m. – 5:00 p.m.
Summer hours: Monday – Friday, 9:00 a.m. – 5:30 p.m.; Saturday, 8:30 a.m. – 5:00 p.m.
Fall hours: Monday – Saturday, 10:00 a.m. – 5:00 p.m.
Also located in Mt. Vernon is the Harvest at The Woodward. This wonderful co-op market operates year-round and supports local vendors and their products. 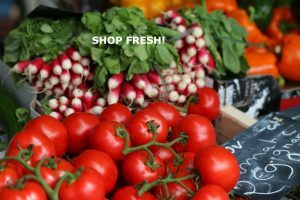 Shop here for everything from home-grown produce to meats, honeys and jams, cheeses and dairy, household and personal products, baked goods, and much more. You’ll find more fresh flavors right here at the Inn, where our garden supplies many of the herbs and veggies we use for breakfasts and dinners. Plan to stay with us this summer and get a taste of the good life!